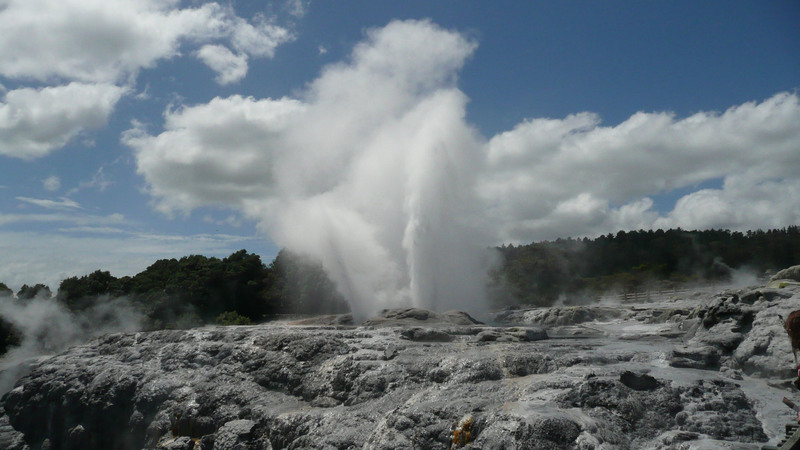 We have just returned from a month long trip to New Zealand. What a delight, both the scenery and the people. 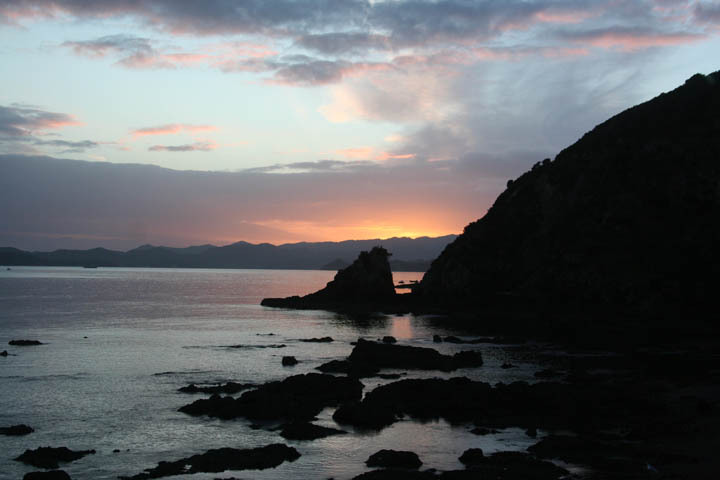 We drove around the northern part of the North Island and the southern part of the South Island. It was late spring. The thing that I noticed the most was the continual singing of the birds. They were everywhere and the sound was beautiful. It was like hearing part of a symphony everywhere we went. The other thing that was so noticeable was the gorse and the broom. The New Zealanders think of these plants as weeds but at this time of year they are in bloom. Bright yellow coated the landscape with sunshine. The other plant that was blooming profusely at this time was the Lupines. These white, lavender, and purple spikes were everywhere. It was such a treat to both eye and ear. Besides all normal tourist attractions that we saw, we went to a kiwi fruit orchard and learned about how they are grown. We visited a working dairy farm and walked in the pasture with the cows. Both of these were very interesting. We saw a sheep being shorn at The Agradome in Rotorua as well as many other animals in the paddocks there. We went on various boat trips on our travels to get a view of things from the water. We went through “the hole in the rock” in the Bay of Pleny. 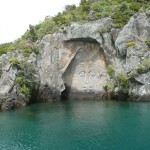 We also saw various Maori carved icons. 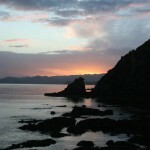 Especially impressive was the meeting house in Whaitangi where the treaty was signed between the British and the Maori. Also there was the largest canoe I have ever seen. 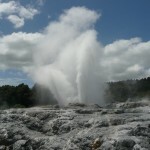 We saw a very active geyser and hot springs with bubbling mud. The glow worm caves reminded me of the view from an airplane looking down on a city. Instead we were looking up into the roof of a cave. 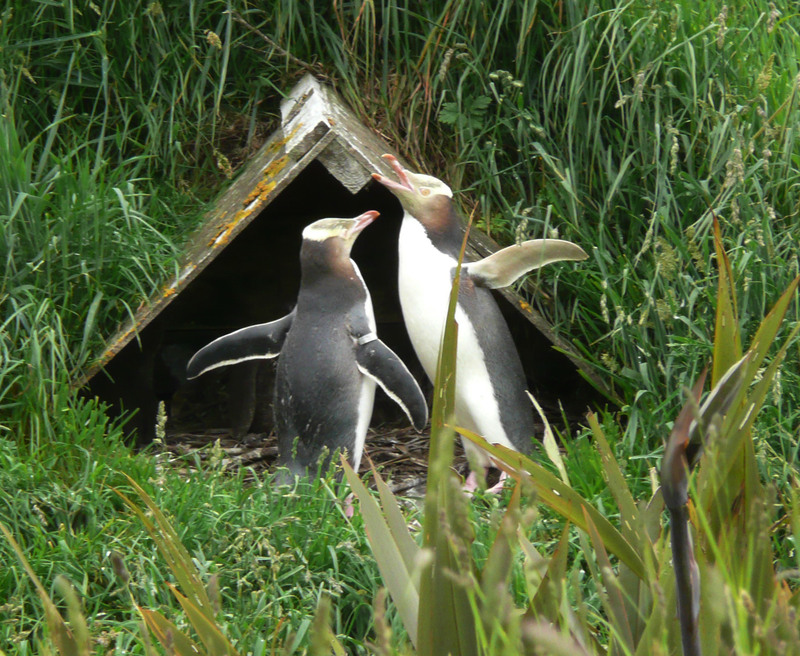 We saw the yellow-eyed penquins under shelters on the hillside watching over their newborns. The Albatross flew overhead and were nesting on the hillside at the Albatross Center. 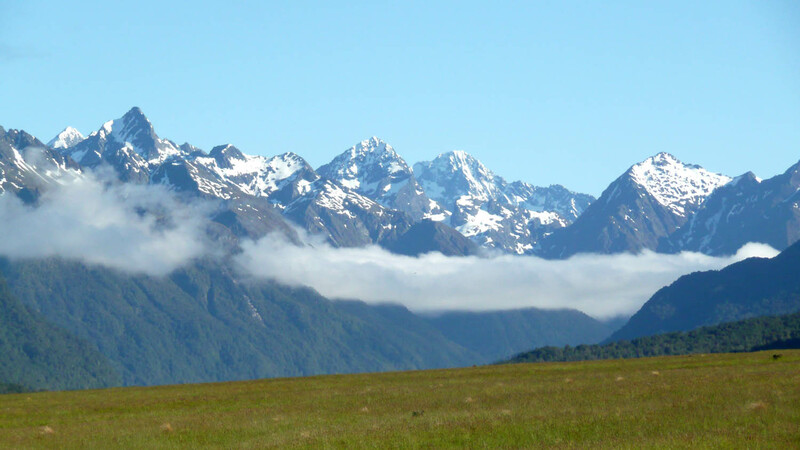 I think that perhaps there may be more sheep, cows and red deer in New Zealand than people. they were everywhere. 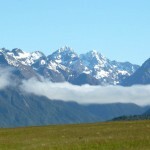 On the South Island, the scenery was magnificent. It was wild and rugged and just spectacular. 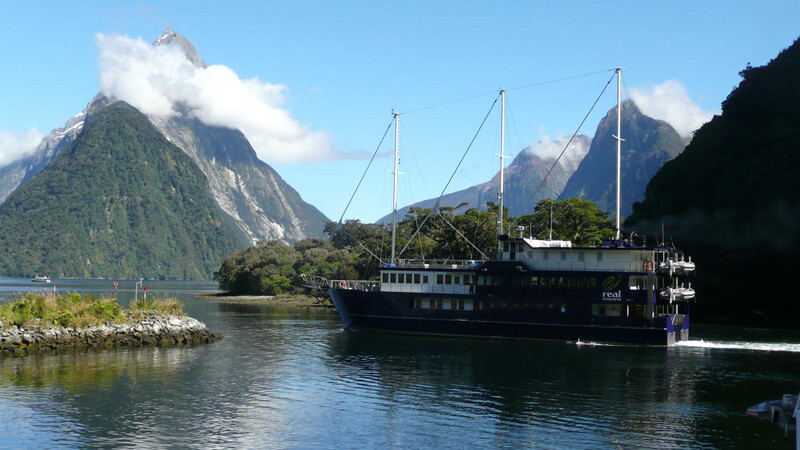 Milford Sound was breath-taking. All natural water in New Zealand is the clearest I’ve ever seen. The ocean’s harbors are emerald green. They are just beautiful. We could see clear to the bottom if it was not too deep. 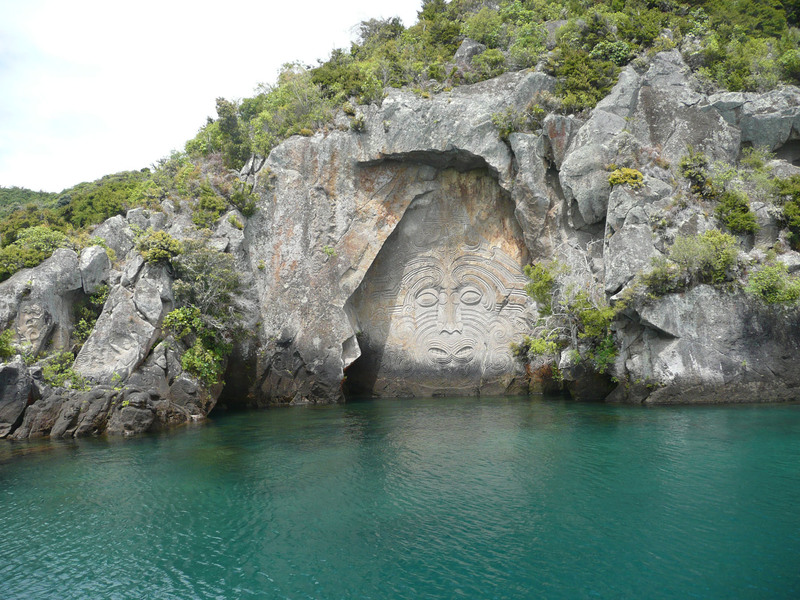 We took a jet boat down the river where parts of The Lord of the Ring was filmed. It took us fairly deep into the southern mountain range onto a lake that was not accessible other than by boat. One of the most wonderful things about traveling on your own is the unexpected little treasures you find. The observing the penquins was one of those times. 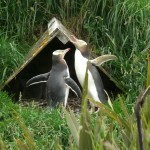 Our guide told us that it is uncommon to see one adult penquin come back to the nest and releave the other one. We happened to see the one adult coming out of the water from our place high up on the hill. We saw her walk up the beach, enter the grass in the hill and walk all the way up to the lean-to where the father was watching the hatchlings while she was on her 12 hour cycle of getting nourishment. Then after an interesting dance routine and gesturing to each other the male strutted off, pausing at one point to define the noises he heard (us on the hill above) and then he proceeded back to the water to start his turn at the search for food.